September 14, 2018 | Why Ride Recumbent? 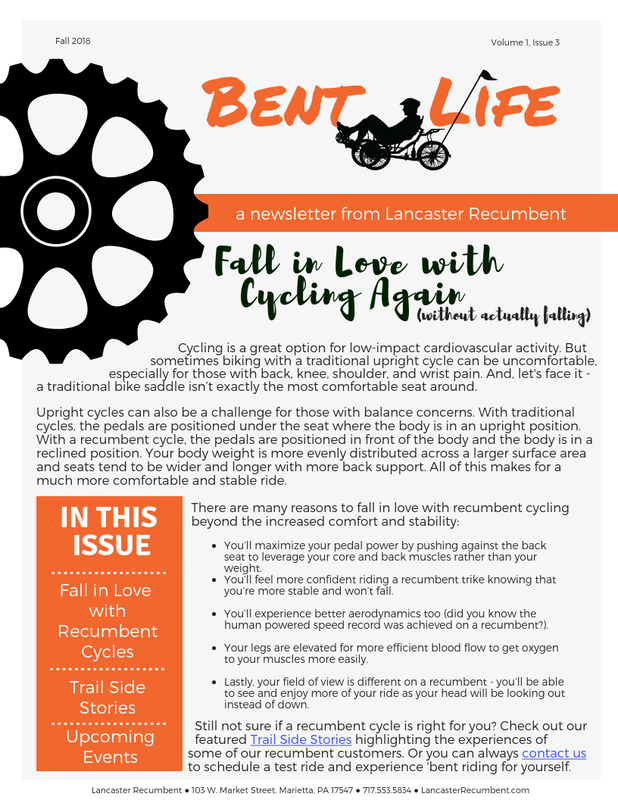 The fall issue of our Bent Life newsletter is all about reasons people Fall in Love with recumbent cycles. Learn about the benefits of riding ‘bent and then get inspired to hit the trail as you read Trail Side Stories – stories featuring some of our recumbent riders as they explore Pine Creek Rail Trail and travel near and far for Geocaching adventures. Ready to go for a ride? Check out our Upcoming Events and sign-up to join us on a ride! 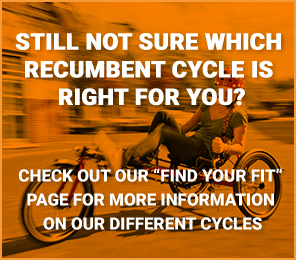 Select Category Choosing Your CycleUncategorizedWhy Ride Recumbent?